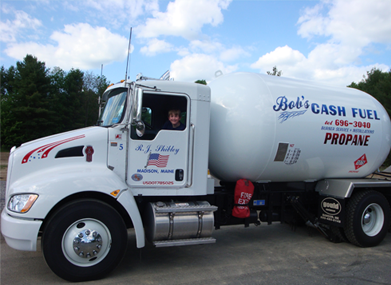 Bob's Cash Fuel in Madison, Maine | For all your heating and cooling! “Good value, great service, amazing people! I’ve been a customer for 5 years and couldn’t be more satisfied. Bob’s Cash Fuel customer service is attentive, prompt and helpful. Switch to Bob’s, you won’t be disappointed!” -Chuck & Rob Peabody, Crab Apple Whitewater Inc.
Our customers come first. Not only is Bob’s your number one source for all heating and air conditioning needs, but we surpass the competition in price and service. Contact us for a quote today. We welcome new customers with free, no hassle changeovers. Our prices are competitive and our service is second to none. Make the switch to Bob’s and experience our customer-focused sales and service. Our name says fuel, but we offer alternative energy options like natural gas conversions, geothermal heat installations, and heat pumps which harness the energy inherent in the atmosphere and create heat or cool air for your home. 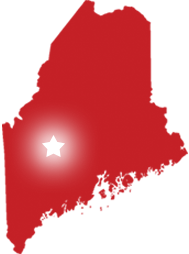 Originating from our offices on Main Street, in Madison, our coverage area spans these towns. Athens, Belgrade, Benton, Bingham, Brighton, Canaan, Caratunk, Carrabassett Valley, Chesterville, Clinton, Concord, Cornville, New Portland, Embden, Eustis, Fairfield, Farmington, Harmony, Hartland, Highland, Hinkley, Industry, Kingfield, Lexington, Madrid, Mercer, Moscow, Moxie, New Sharon, New Vineyard, Norridgewock, Oakland, Phillips, Pleasant Ridge, Rome, Salem, Shawmut, Smithfield, Solon, Starks, Stratton, Strong, The Forks, Waterville, Wellington, West Mills, Winslow Don’t see your town in the list? Contact us to let us know you’d like Bob’s in your area!